James is interested in exploring the effects on human health of a number of environmental and occupational exposures using epidemiological methods. In addition, he has a particular interest in the application of epidemiological data to health risk prediction and health impact assessments related to complex environmental stressors. James started work at the Centre in March 2016 to work as a Research Fellow on the BlueHealth project, which investigates the impact of urban infrastructure in and around bodies of water—or “blue space”—on public health. As a researcher on the project, he is working on developing the BlueHealth Survey, which will evaluate health and wellbeing related to blue and green space in a number of European regions, and will be analysing secondary data from national and international databases with a view to understanding how blue space in particular affects public health. In parallel to his role as a researcher, James is also the Project Manager for the BlueHealth project. 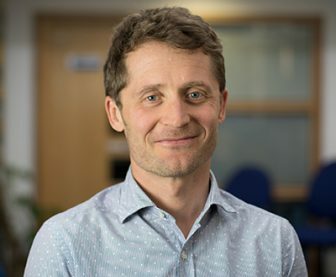 Prior to joining the Centre, James worked as a Post Doc at the Centre for Research in Environmental Epidemiology (CREAL) in Barcelona, as a member of the Radiation Programme. During this time he worked on epidemiological studies and health impact assessments relating to occupational and environmental exposures to ionising and non-ionising radiation.